A well deserved reputation for high quality, handcrafted kitchen furniture is a testament to our attention to detail, careful selection of first class materials and professional installation by our skilled cabinet makers. 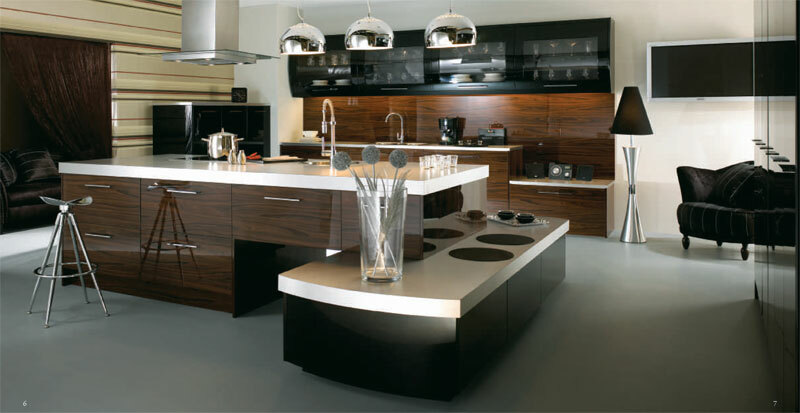 Contemporary and Traditional tastes are catered for with an extensive and diverse range of cabinets . 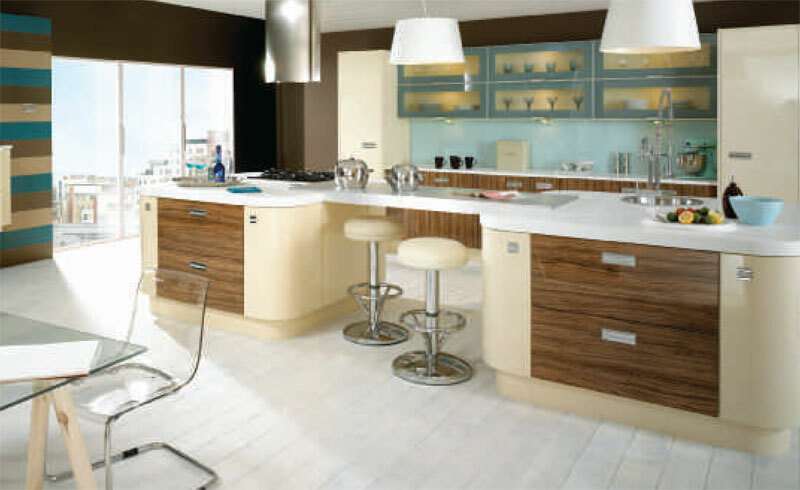 Our installation by our professional cabinet makers, ensure every new kitchen is showroom standard. This is best work I’ve seen in 10 years. Great job, Keep up the good work! Black & Ebony. 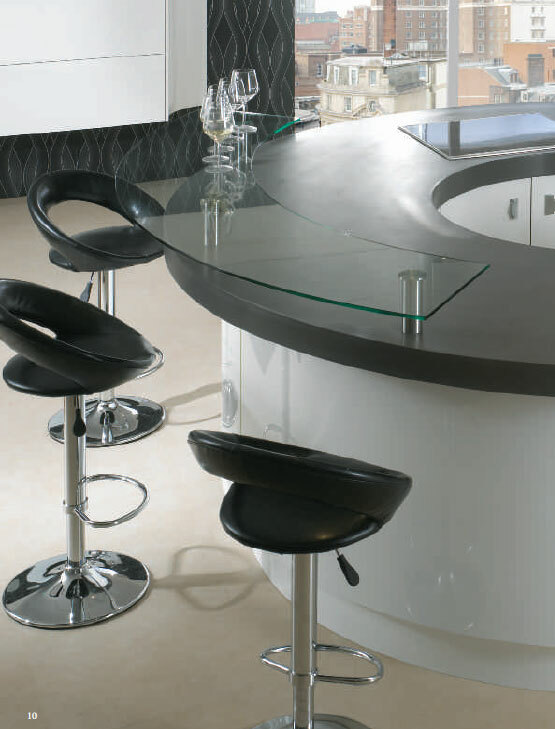 The slick, dramatic look of Ultra Black is given added intensity by the inclusion of high gloss Ebony doors and accessories and also incorporating highly contemporary arc glazed doors. The epitome of style. A match made in heaven, Ultra’sHigh Gloss Vanilla coupled with the mellow tones of Ultra Olivewood combine with smooth curves and sharp styling to create a dream kitchen that is both spectacular and efficient. We will fit all our kitchens Free!